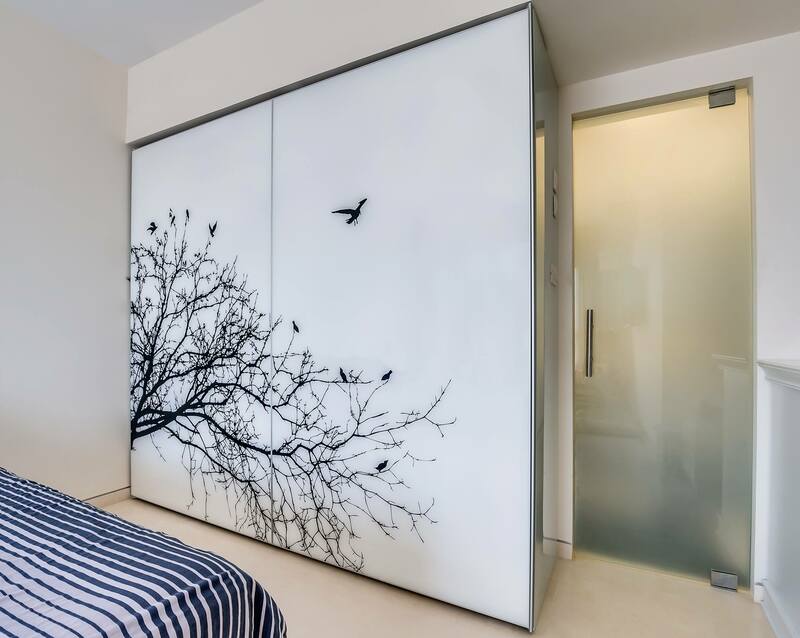 A sliding wardrobe for a master bedroom in a well-designed apartment. For this project we chose a “hovering” sliding door wardrobe which closes on one level and reaches a height of 3 meters. The wardrobe is fitted into an existing niche. It has two interchanging doors, with the advantage that they are hung outside the body of the wardrobe so as not to take up space. The wardrobe doors are fitted with a slim 4 mm profile contributing to the clean elegant look. Likewise, a special print is integrated into the face of the glass doors, according to the clients taste, undoubtedly producing a unique, charming personal expression.